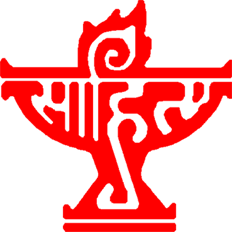 Sahitya Akademi is India's premier institution of letters which is committed to the preservation and promotion of literature contained in 24 recognized languages. Part of the promotion of literature in the languages and dissemination of knowledge is the publication of information about those who contribute to and make what literature as it is available to masses - writers, poets, translators, playwrights and critics. These publications take the shape of Encyclopedias, Bibliographies and Who's Who, apart from the publication of creative literature in 24 languages in the form of books, anthologies, journals, audio-visual materials pertaining to Indian literature and much more. This is the fifth print of Who's Who of Indian Writers after 1961, 1983, 1990 and 1999 editions. The main difference between the earlier editions and this one is, this edition will be available to public online. Standard protocols and procedures have been followed in the procuring of names, listing, classification and publication of this succinct directory of all the living writers of Indian literature. However, despite Sahitya Akademi's best efforts, it is possible that some names might have been left out, mostly due to non-compliance of the writers. Akademi offers its sincere apologies to all those whose names do not figure in the present edition. Since this is the online directory, such writers whose names do not appear in this edition can contact us and we will do the needful. Same holds true for those writers who may find some discrepancies despite excellent vetting process adopted by the Akademi's editorial staff. Discerning literary connoisseurs, I am sure, will observe the marked improvement in this edition over the previous ones and also our efforts to reach out to even those writers who are working in the allied and peripheral fields. Another marked improvement over the previous editions is the inclusion of a large number of lesser-known writers from remote corners of this vast land with diverse and rich cultural and literary traditions. The dawn of 2015 has augured well for the Akademi and we offer this to the literary community in the spirit of service though we are proud of the efforts of Dr. Sufian Ahmad and Sri Biswajit Sinha and their team.